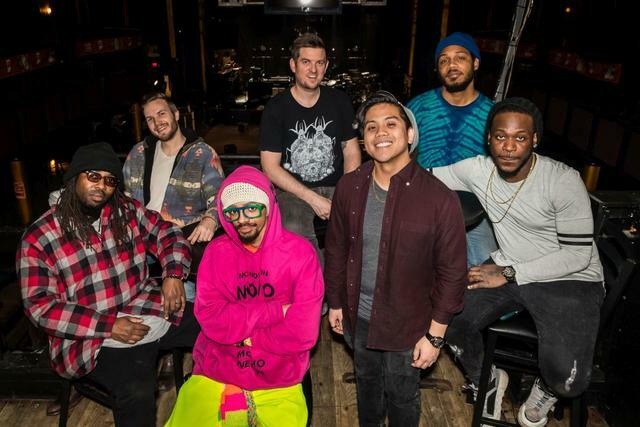 Exclusive Interview with Ghost Note – A Band to Watch Reviewed by Joshua Gooch on March 19, 2019 . After years of success with Snarky Puppy, Grammy wins included, Robert “Sput” Searight and Nate Werth decided to start their own thing. As a result Ghost Note was born. A percussion driven project that since the 2015 release of Fortified has seen the band grow quickly from an idea into a highly refined showcase of talent and groove as evident in the bands 2018 release Swagism. Out now on the road in support of this album the “SMACK EM’ TOUR” is doing just that from town to town as Ghost Note brings the groove all up and down the U.S.
With a solidified lineup of artists that have become core members of the band and contributed widely to the making of Swagism, the live show from Ghost Note has become a nightly powerhouse of groove that explores the material in unique ways every night. Here in North Carolina we are getting lucky with a four day – four stop run finding the band starting March 21 at Pisgah Brewing Company in Black Mountain, NC. The tour will continue in Charlotte at Heist Brewery on the 22, Raleigh on the 23 at The Pour House Music Hall, and closing out NC in Lexington at High Rock Outfitters on March 24. In anticipation of their NC tour stops we sent over some questions to learn a little bit more about the band and what expect on this run of stops. 1.) Ghost Note is widely recognized as “Robert and Nate’s” project since you both founded it. However, with a project like this that relies on guest and touring contributors in such a unique fashion, how would you say this defines the image of the band? The image of the band has changed since our first release “Fortified”. We have accumulated a few more core members after touring for the last 2 1/2 years. With the addition of Sylvester Onyejiaka, Mono Neon, Jonathan Mones, Xavier Taplin, and now Vaughn Henry/Peter Knudsen/Jelani Brooks!! We have sorta become a ‘super band’, lol. This record (Swagism) mainly features the guys that’s been going on tour with us but I definitely called in a few favs from some old friends of mine(Kamasi Washington, Nigel Hall, Karl Denson, Bobby Sparks, Mark Letieri, Juston Stanton, Phil Lassitor) to join us on this record. 2.) How has touring with a lineup that contributed heavily to your latest album (Swagism) contributed in your nightly performance? 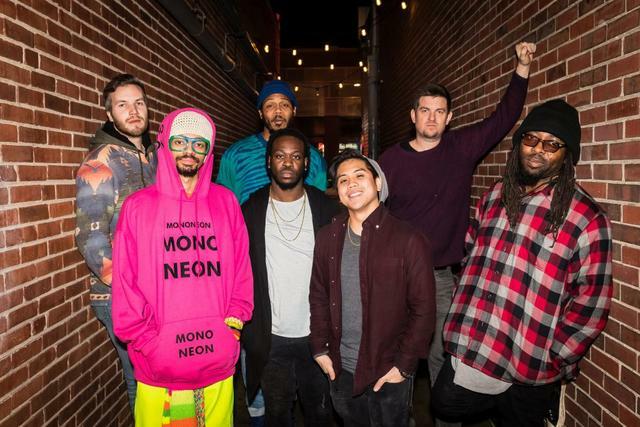 Is it helping to push new sound in the Ghost Note world? It been a work in progress but I’m totally amazed by the sound we get on the stage from night to night from all these guys. Nate and I have watched these guys grow so much in the last 2+ years and it’s even more exciting to see the band grow collectively. Every night is a new experience and we are steadily exploring the compositions. 3.) With your latest release, the album seems more focused and structured, while still exploring and demonstrating a love for multiple styles of groove-driven music. What are some factors that you can point to that lead to this more refined album? Being that Nate and I are drummers, the main factor is our connection rhythmically. It all starts with the drums and we constantly try to explore different ways to recreate harmonies over our melodies. The rest literally just comes together . 4.) How did Swagism end up a double album? Was it simply natural due to the number of tracks you wanted the world to hear or do you see each part as thematically connected? Being inspired by the city of NOLA and it’s musicians while we were there to record our album at the Parlor Studios. We went from having zero ideas to almost too many ideas, lol… before we knew it we had more than enough material but the more we were inspired the music just kept on coming so we ended up doing a 2nd group of sessions in LA at the 206 Studios. 5.) One unique aspect of Swagism is the addition of spoken word and commentary on society. Was this inclusion just a natural addition or something that you all would like to see become more common for Ghost Note? 6.) As you make your way through NC with four stops what should fans expect from a Ghost Note show? A lot of spontaneous, exciting, fun-filled, whacky, funny, skilled, unapologetic, conscious FUNKY TIMES!!! Four shows throughout the state will give us in North Carolina plenty of chances to groove with the guys and with a full schedule of touring set through mid-summer be sure to look to catch the band as they make their way through your area. We will definitely be out to catch a show so stay tuned for coverage here at Shutter16.com and all our social media channels and if you make it out be sure to share your experience with us using the hashtag #twitfromthepit.